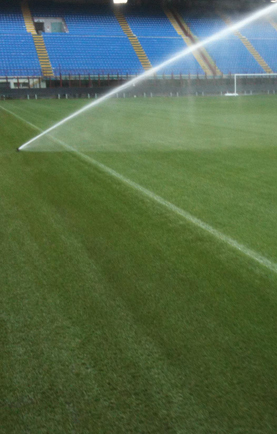 Mixture intended for use in primary training football fields, sports grounds and grassy areas with high foot traffic. Form a grassy carpets green intense color, resistant and dense. Has a rapid regrowth (due to high presence of Poe), which guarantees fast covering the laceration use. The species and varieties with which they are made are of primary quality and choices in relation to environmental conditions of using area.